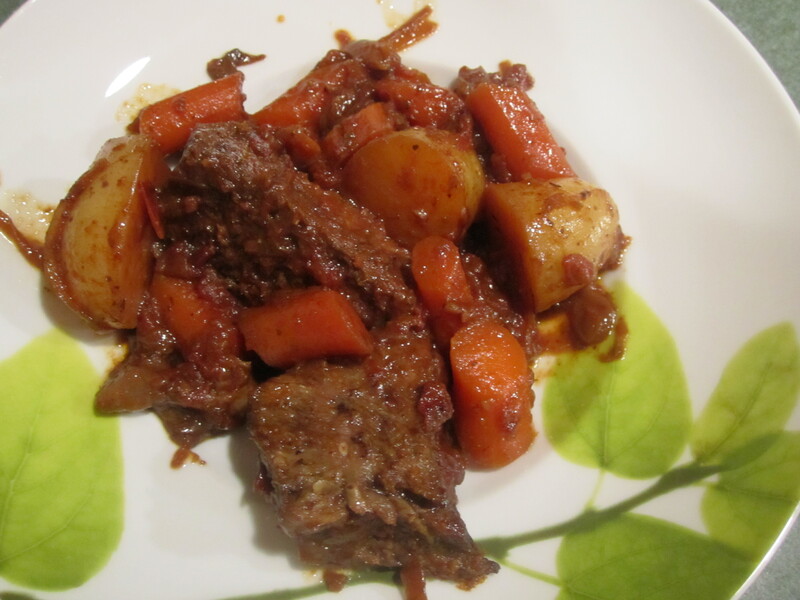 Growing up my Mom made Pot Roast with ginger snaps, very delicious. But when I tried it on my own children they were not as keen on the taste. 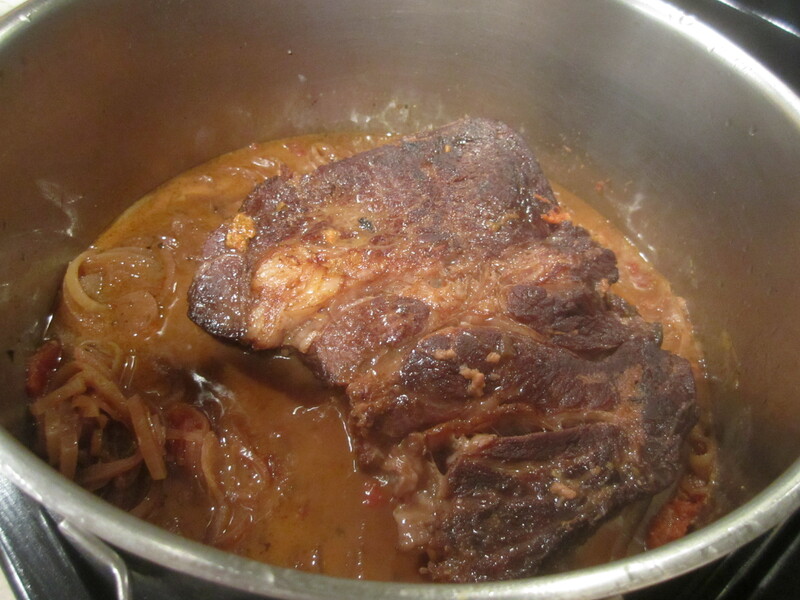 So I started looking around for a new family recipe and found one in my Southern Living Our Best Five Star Recipes cookbook: Deluxe Pot Roast. 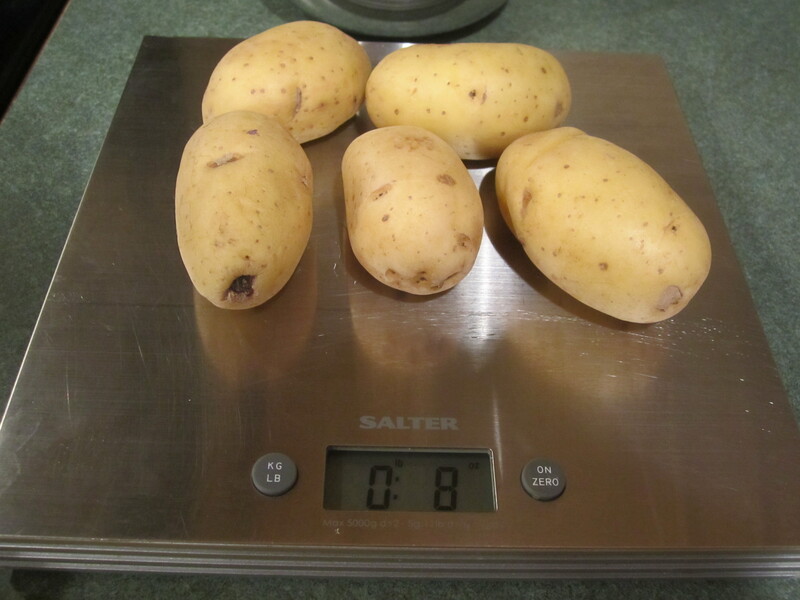 I have tweaked the recipe over the years and once in a while I do add potatoes and carrots. But usually I serve it as is with maybe some crusty bread and salad. You can certainly add whatever vegetables you like. 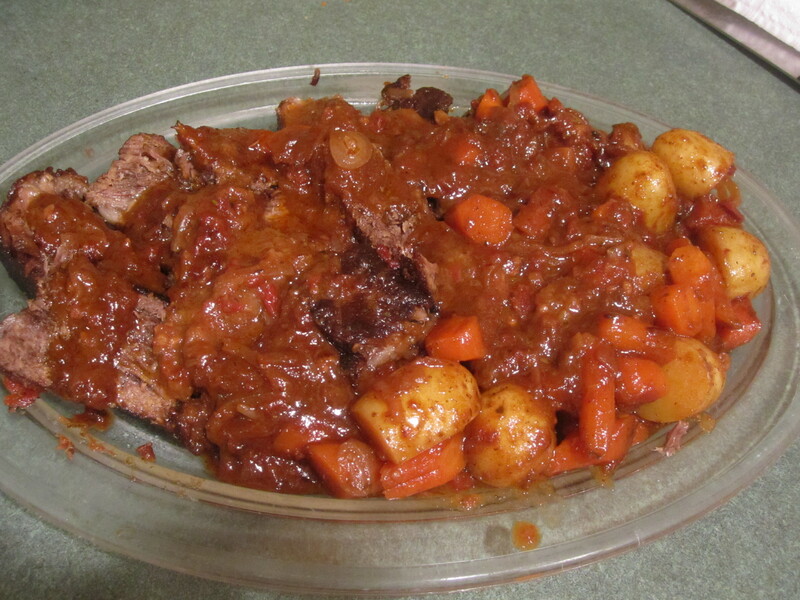 I have added the carrots and potatoes to the recipe below, so you can see how it works. 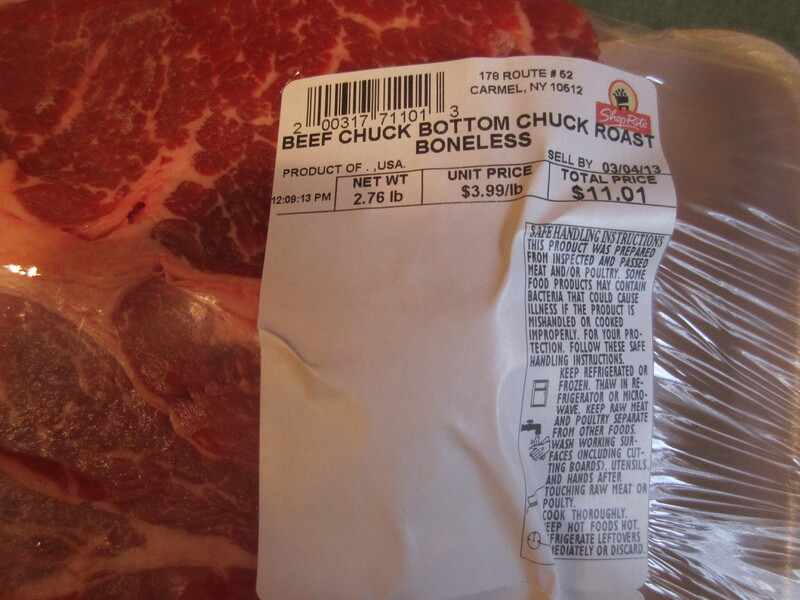 The chuck section comes from the shoulder and neck of the beef, and it yields some of the most flavorful and economical cuts of meat. 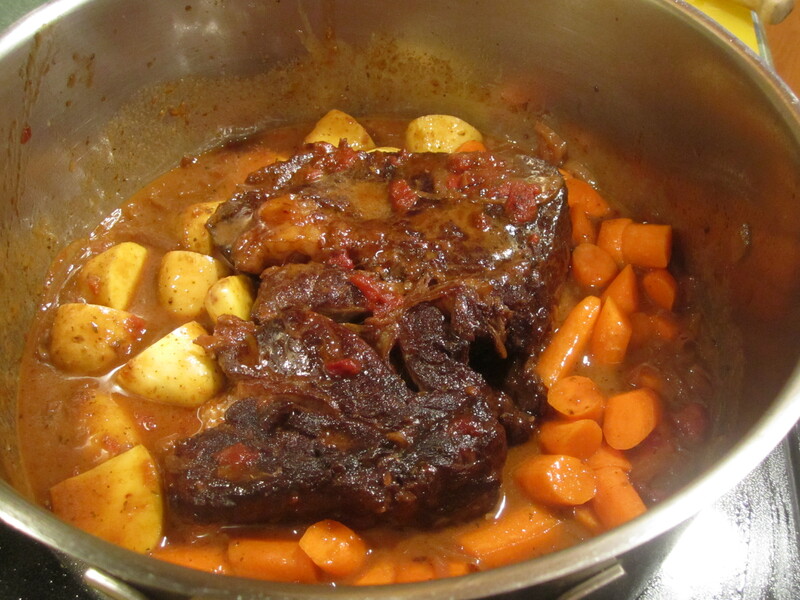 It just needs to be cooked for quite a bit so give yourself plenty of time. It is also just as good if not better the next day. 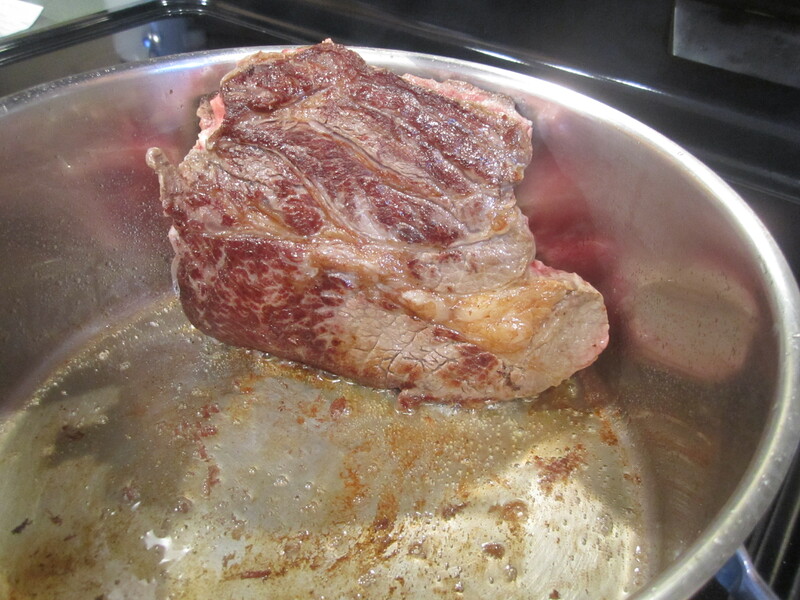 Put large sauce pan, 6-8 quart, on medium heat and add oil and heat until very hot. 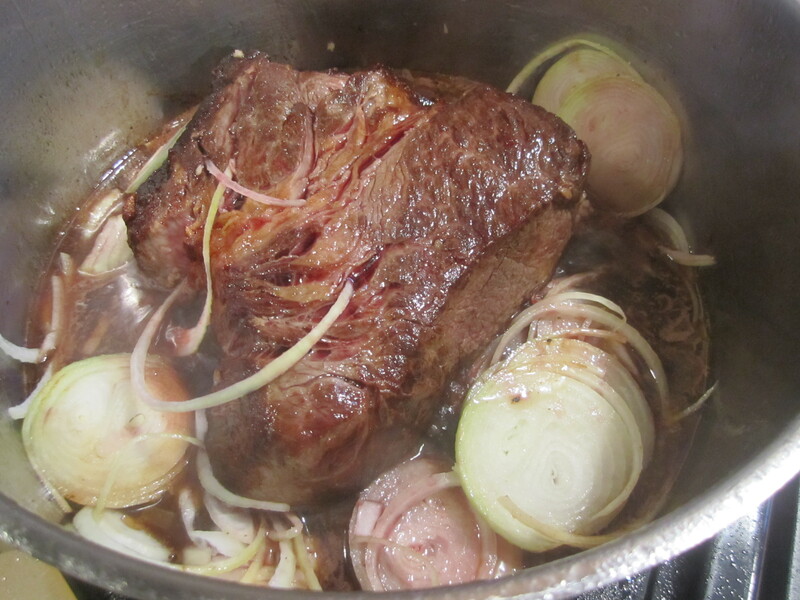 Add beef and sear on ALL sides for 3-5 minutes each side until nice and brown. 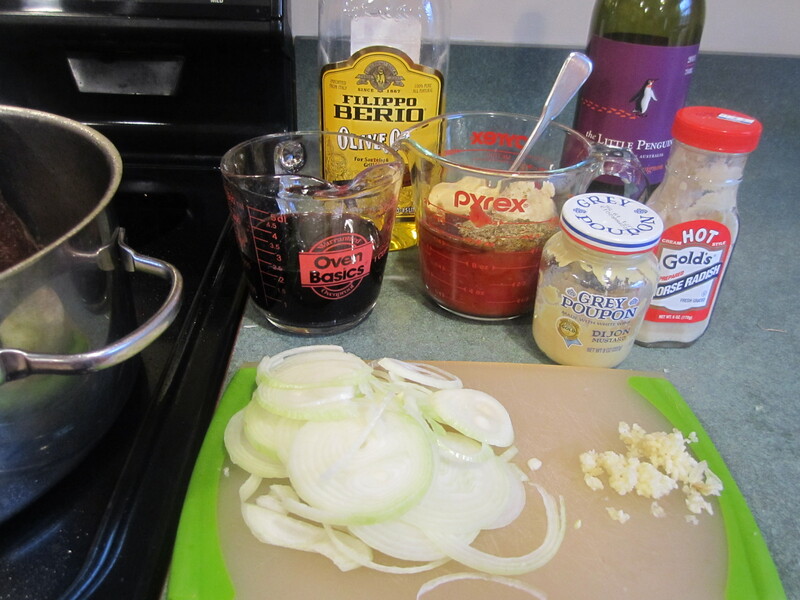 Add sliced onion, minced garlic and wine. 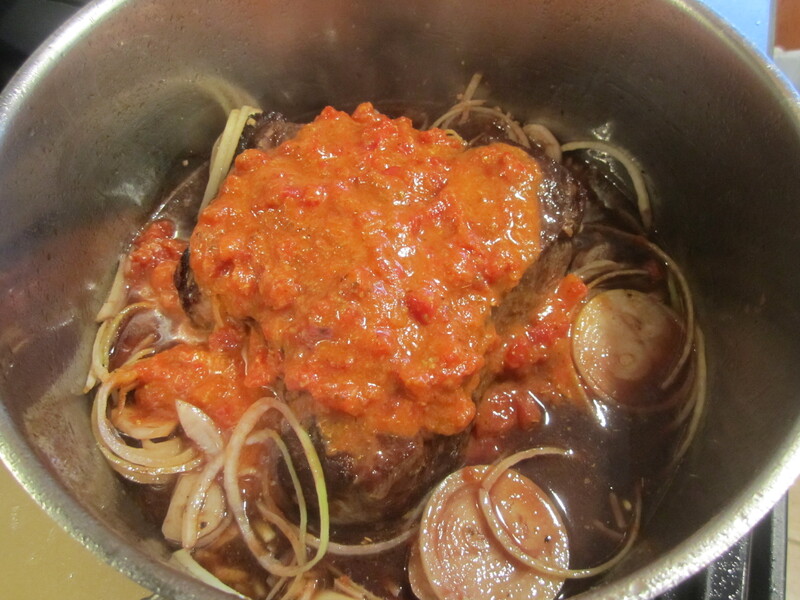 Mix tomato sauce in a bowl or 2 cup measuring cup with brown sugar, oregano, horseradish and prepared mustard. 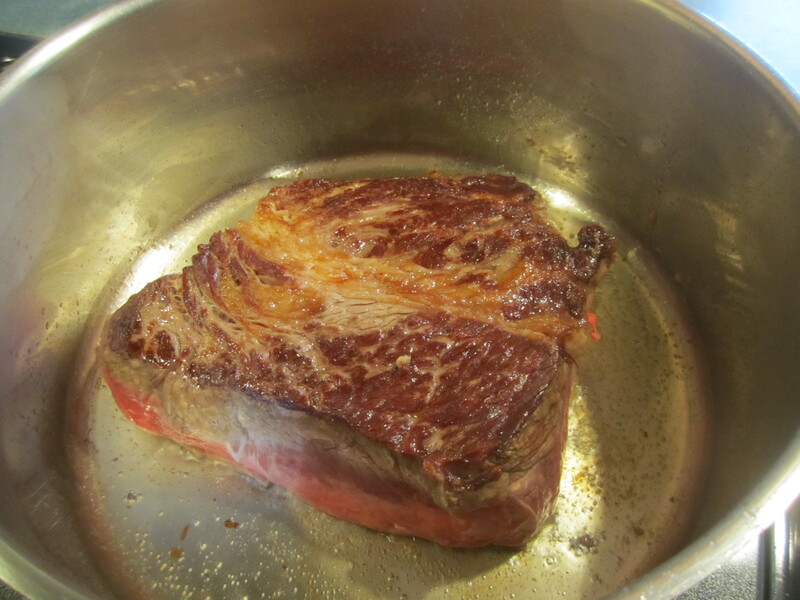 Pour over beef. 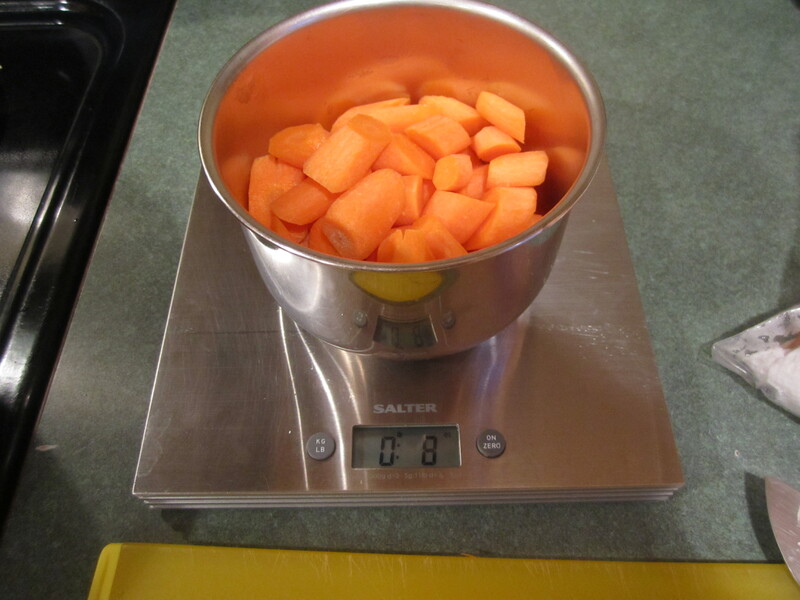 Bring liquid to boil then reduce heat to one notch below medium, bringing liquid to a simmer. Cover pot and cook for 45 minutes. Uncover and turn beef over. Cover pot and cook for another 45 minutes. 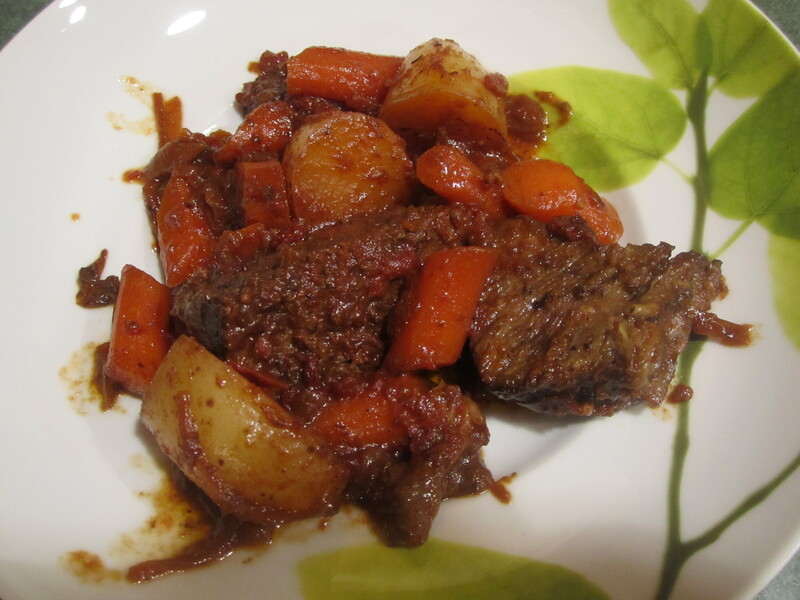 After the hour and a half cooking time, add potatoes and carrots, cover and simmer for an hour until beef and vegetables are very tender. If the sauce is really thick at this point, you may need to add a bit of water, maybe 1/4 cup, before adding the vegetables. 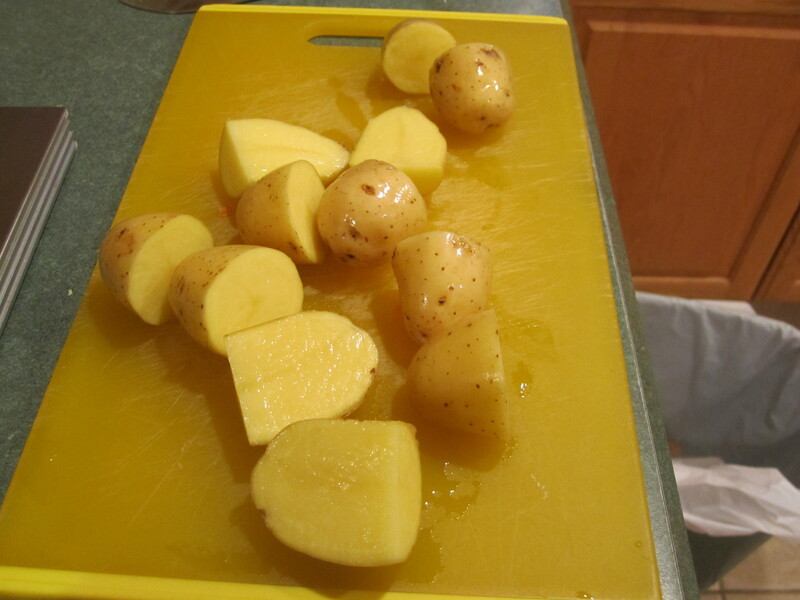 When done, remove meat to a cutting board and slice into serving pieces, cutting away any fat. 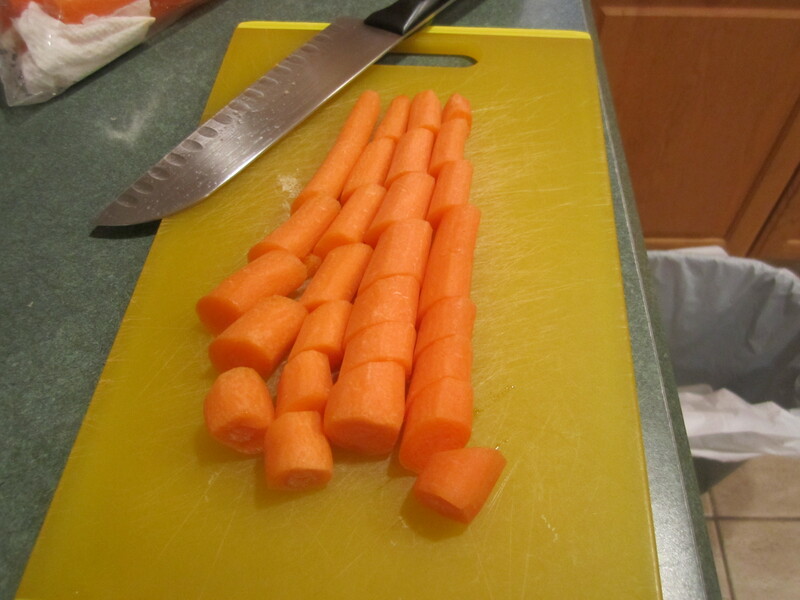 Place on serving platter and surround with vegetables, spooning sauce over top of everything. Serve immediately. My niece made this on a recent visit and it was delicious. The gravy/sauce was so good I could eat it alone with a spoon. Can’t wait to make it here at home. Just made this last week! Could not agree more! Thank you!